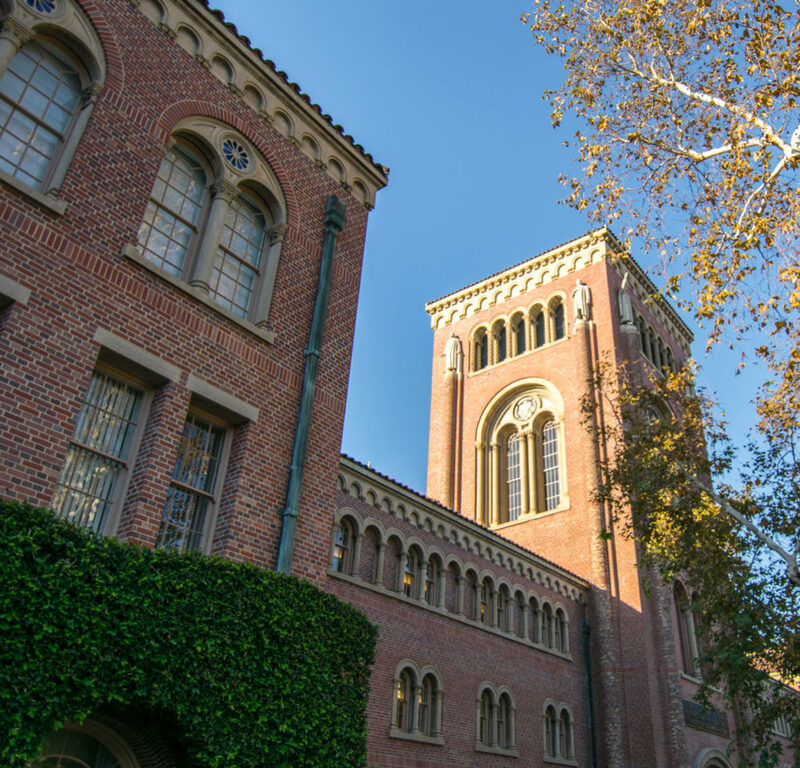 The University of Southern California has an extensive set of historic buildings dating to 1880 representing many eras of history and design both on campus and in the surrounding community. 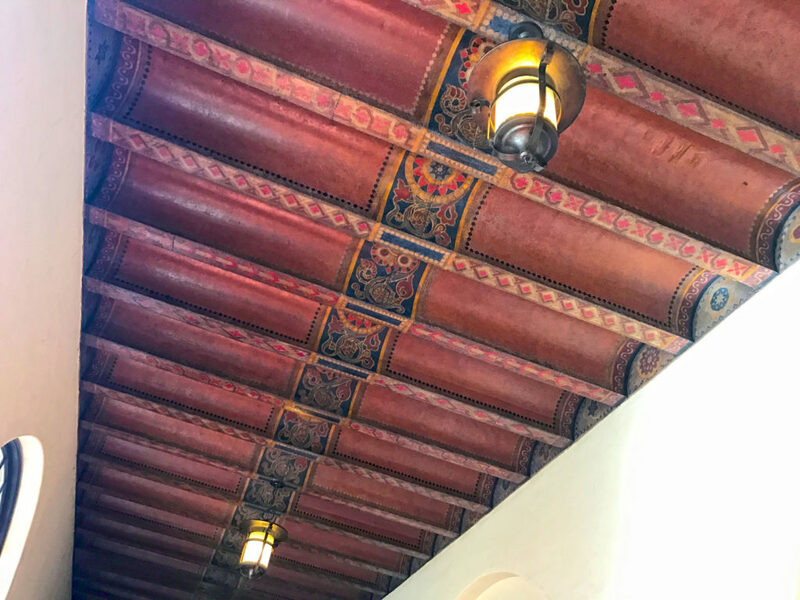 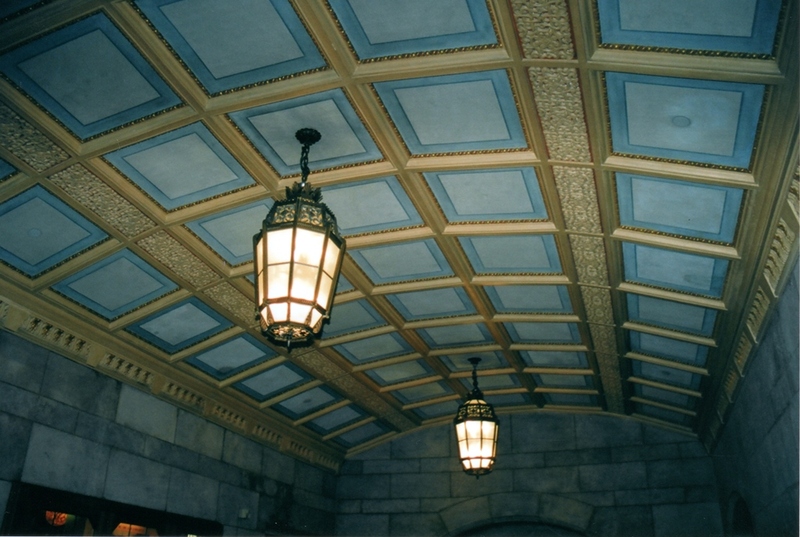 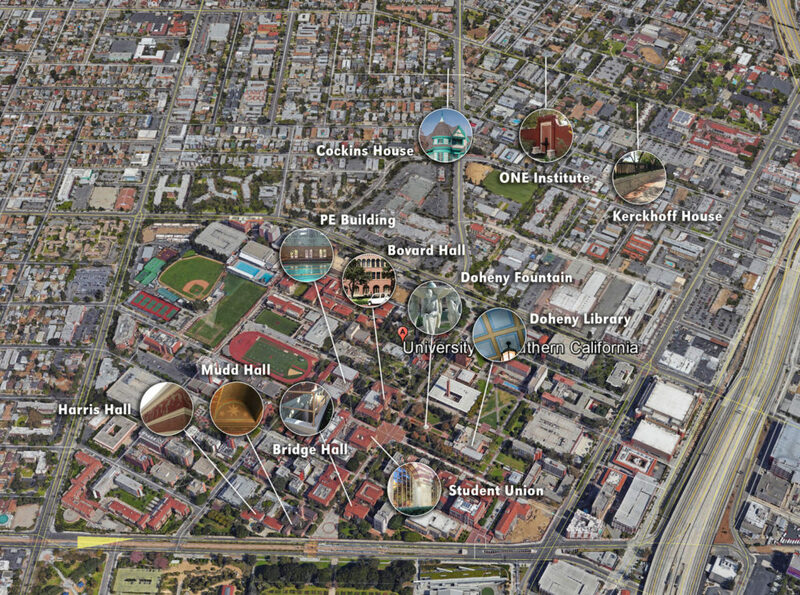 These buildings which are also eligible for the National and California Register were nominated by USC and received City of Los Angeles historic designation They all have special features such as decorative painted ceilings, carved doorways, murals, railings, light fixtures, decorative cast stone, patterned stone flooring, wood and metal doors and windows and modern aluminum fins that are virtual landmark elements themselves. 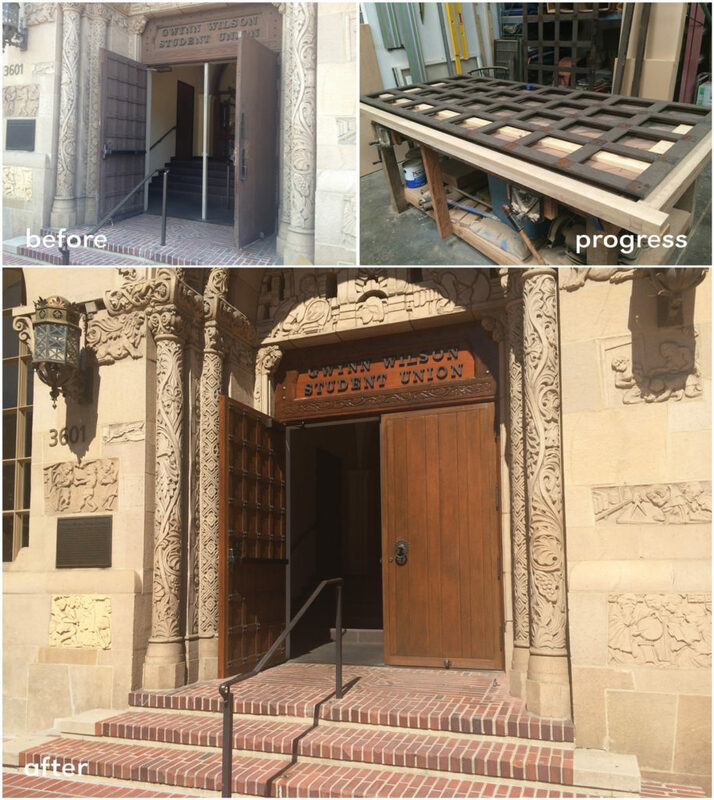 For a large institution with a wide collection of resources there is an enormous task to maintain historic features and provide appropriate treatment. 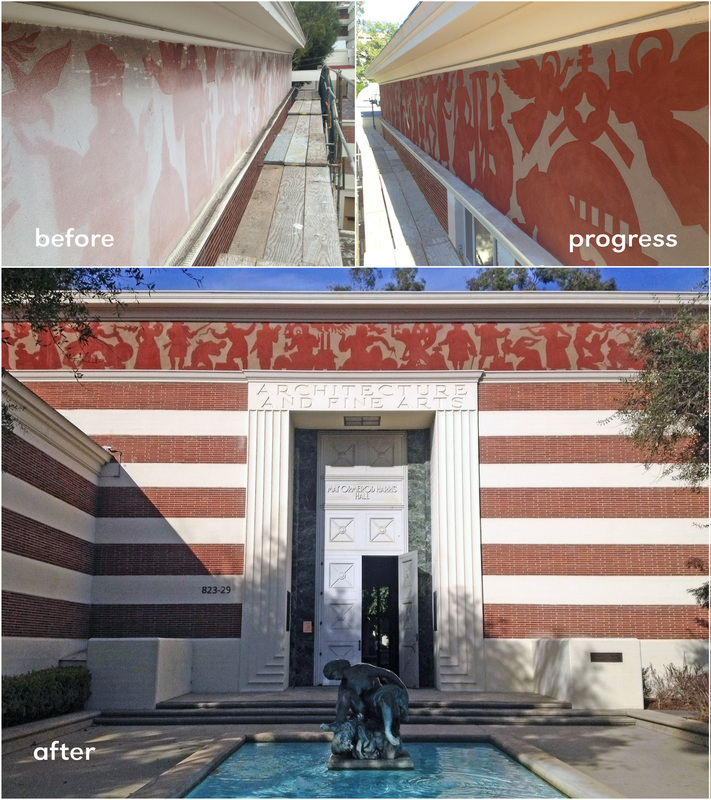 Ensuring that Facilities Managers who oversee an array of issues across campus and at buildings in the surrounding neighborhood have information, recognize preservation issues and have access to specialists has been an important part of the effort. 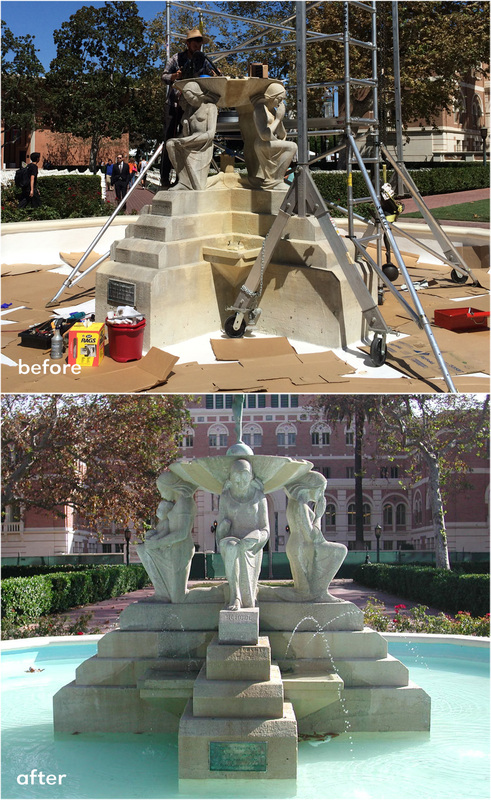 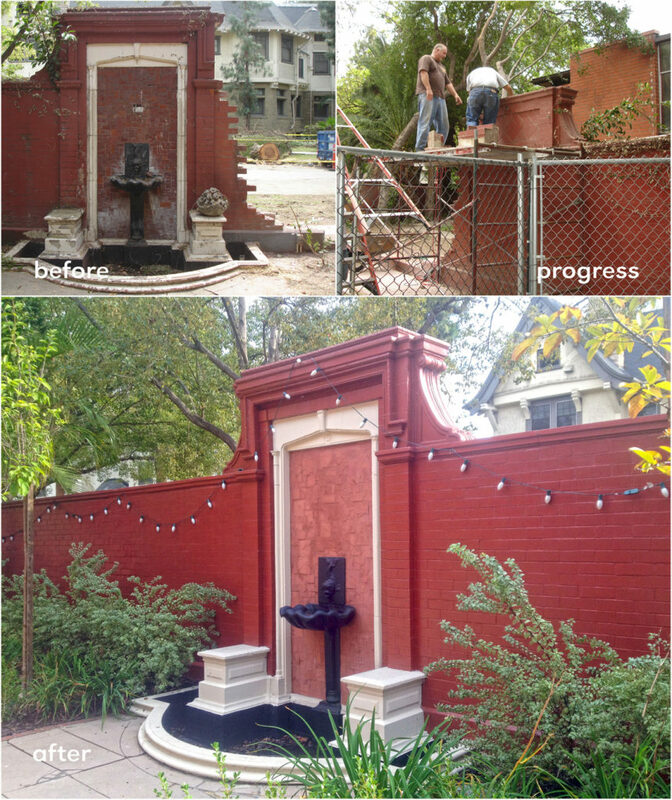 This process has allowed for a successful restoration and maintenance program for historic resources.